Everything from the soap you used to shower this morning to the glue holding your desk together is a product of the chemical industry. But things can become complex when you try to ascertain everything that falls under the chemicals umbrella. Specialty Chemicals – Chemicals for crop protection, dyes, and paints. Consumer Chemicals – These are sold in shops to the public and include detergents and soaps. Basic Chemicals – These cover petrochemicals (acquired from oils), basic inorganics, and polymers. Petrochemicals are converted into more beneficial hydrocarbons using methods such as cracking, isomerization and reforming. They are derived from hydrocarbons in crude oil and gas. The leading application for petrochemicals is the manufacture of a large variety of polymers, typically used in resins and plastics. Basic inorganics include chemicals for fertilizers, chlorine, sodium hydroxide, sulfuric and nitric acids. Named the world’s largest chemical complex in 2015, The Sadara Chemical Company in Saudi Arabia has 26 manufacturing units inside the compound with the entire industrial park spanning 12-square kilometers or approximately 4.6 square miles. The BASF chemical complex in Ludwigshafen, Germany spans an area of around 10-square kilometers or 3.9 square miles. "The backbone of the Ludwigshafen production Verbund (network) is a dense network of around 200 production plants that are connected to each other by over 2,850 kilometers of pipelines.”[ii] In a lot of other cases, the company’s size is commonly presented by the number of chemicals produced, revenue, and the number of employees. With headquarters in Midland, Michigan, Dow Chemical, makes over 2,000 different products. Encompassed within the huge conglomerate of chemical production, and not forgetting the smaller producers, organic and inorganic hazardous materials that have very low flashpoints, low LELs (lower explosive limits) and a large explosive/flammable range are being handled daily. In the presence of an ignition source, LEL is the lowest concentration of a gas or vapor in air that will burn. It is less than 5% by volume for a lot of flammable gases. Even when relatively small concentrations of the gas escape into the atmosphere there is a big risk of explosion. It is worth noting that a large number of flammable gas hazards occur when the concentration of gases or vapors exceeds 10,000 ppm (1%) volume in air or higher. Toxic gases typically need to be detected in sub-100 ppm (0.01%) volume levels to protect personnel. Equipment connection points, and more. So, the production, storage, and distribution of products and byproducts of the chemical industry are both some of the most beneficial to consumer everyday lives, and also some of the most dangerous to those who work directly work with them. The help of gas detection management in the petrochemical industry, therefore, plays a crucial role. Provide continuous gas monitoring – Personal gas monitors are crucial, but adding continuous monitoring for LELs can notify you of a problem 24/7. 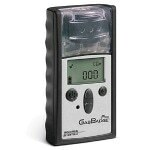 There are some area gas monitors which have a 7-day run time, it can be extended permanently if an external power supply is utilized. Area monitors are perfect for monitoring a leak or spill or setting up a perimeter around a hazards area. 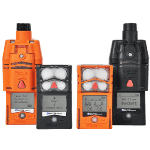 Use data to reduce and eliminate gas exposure – Gas detection management software helps you manage hazards, equipment, and people, from anywhere by using a simple dashboard. 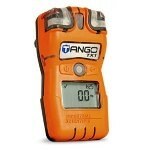 It also supplies information on how gas detectors are being used, which allows you to take corrective actions. Keep workers connected – If someone experiences a high gas situation, man-down, or panic, it could take minutes or hours before anyone is alerted. Using wireless gas monitors, a remote safety manager or first responder crew, as well as peers in the area, can be alerted immediately, improving response times. This information has been sourced, reviewed and adapted from materials provided by Industrial Scientific. For more information on this source, please visit Industrial Scientific.